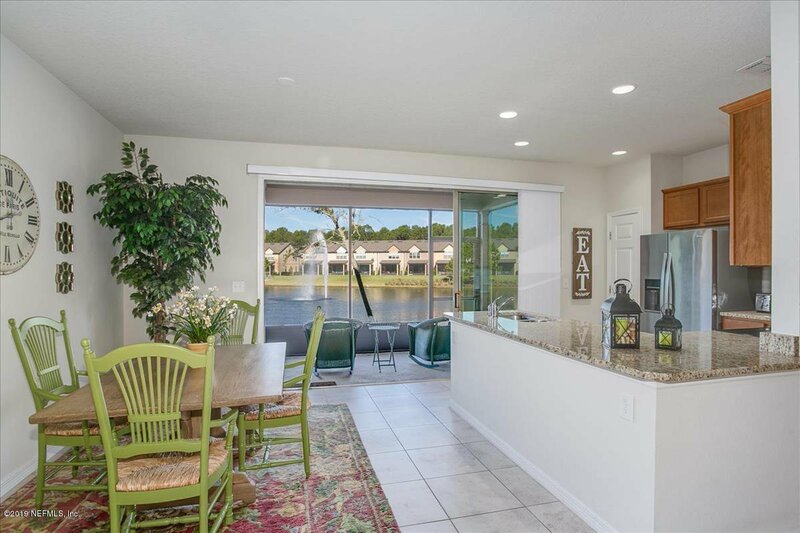 LIKE NEW AND A VIEW TO ENJOY! 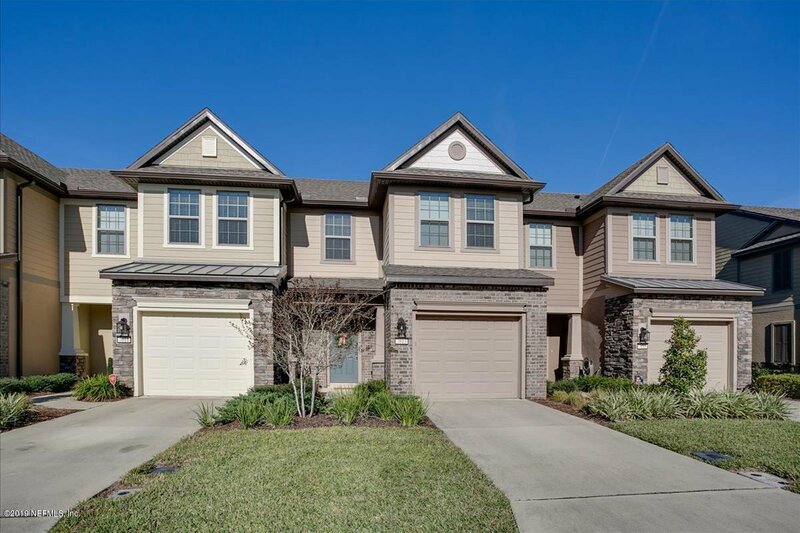 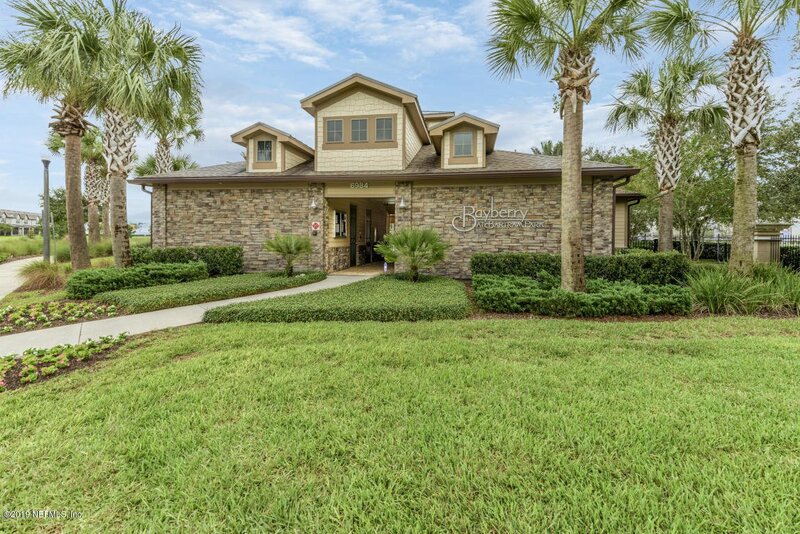 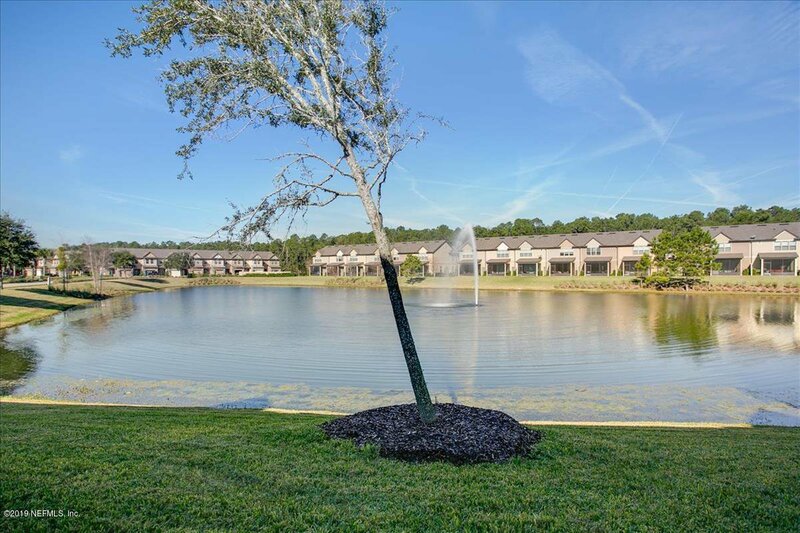 Beautiful Pulte built luxury townhouse located on serene lake with fountain view. 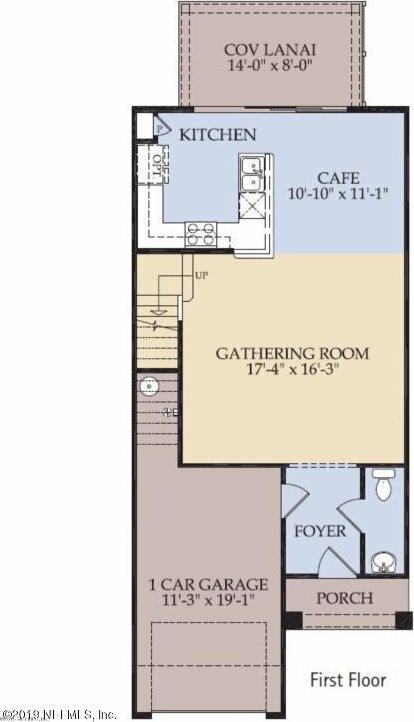 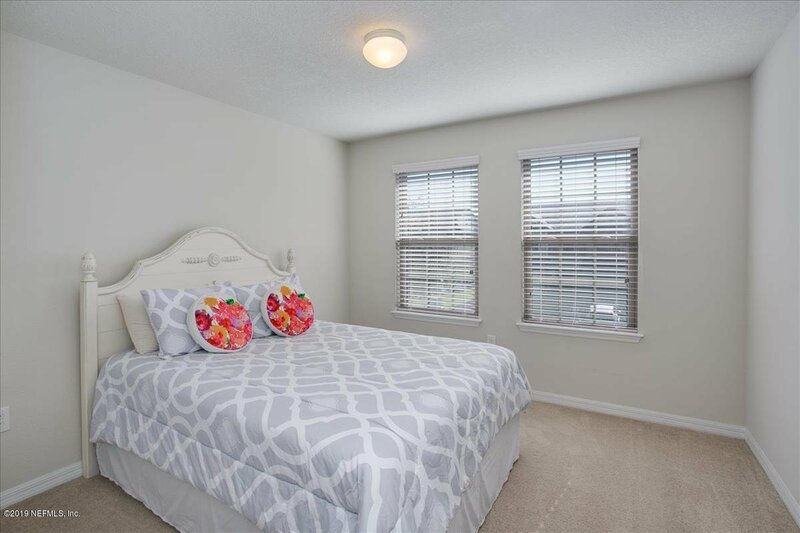 Spacious 3br/2.5ba. 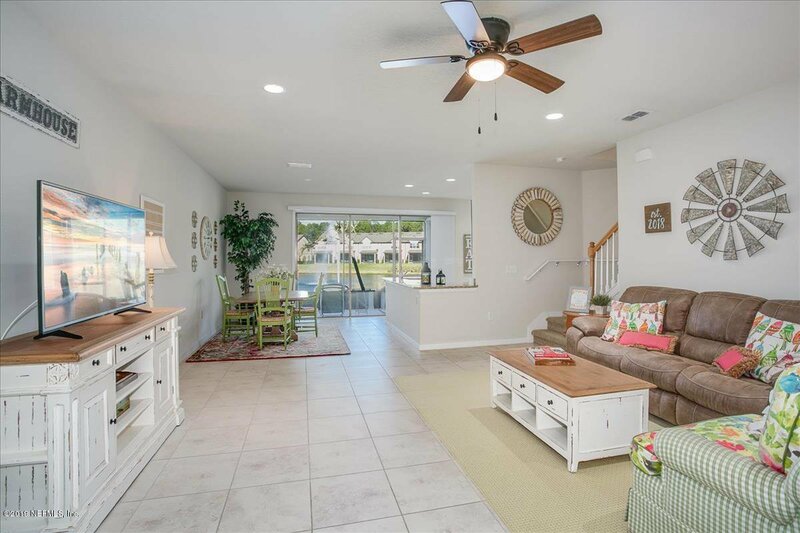 Downstairs you'll enjoy the open living room, dining area and kitchen with breakfast bar that overlooks the family room. 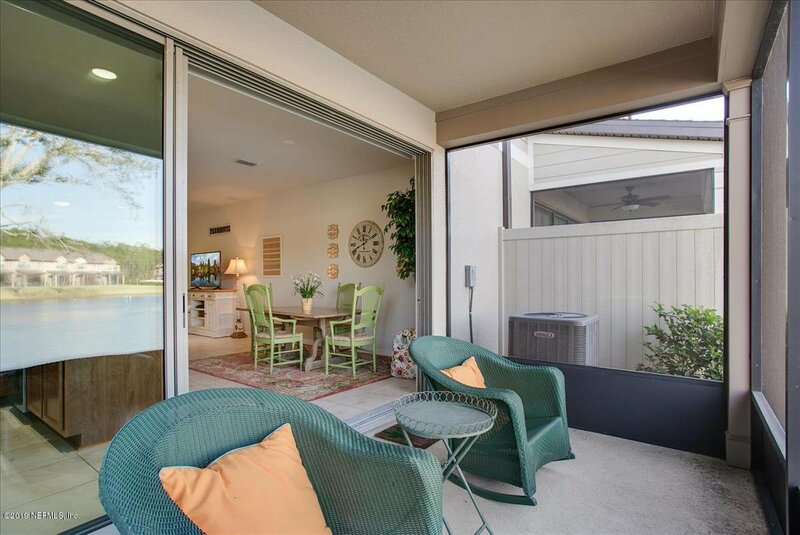 The 3 way sliders allow you to open the expansive doors on a nice Spring or Fall day and enjoy the screened in lanai. 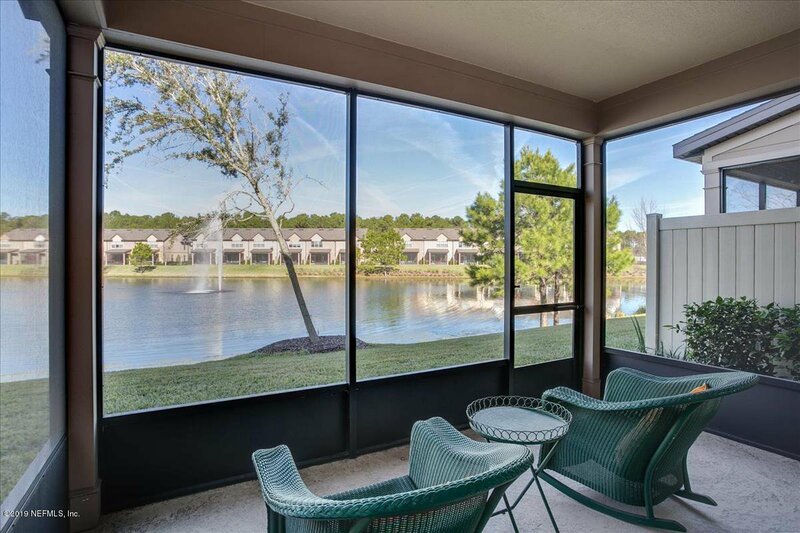 Enjoy the sounds of the fountain in the lake. 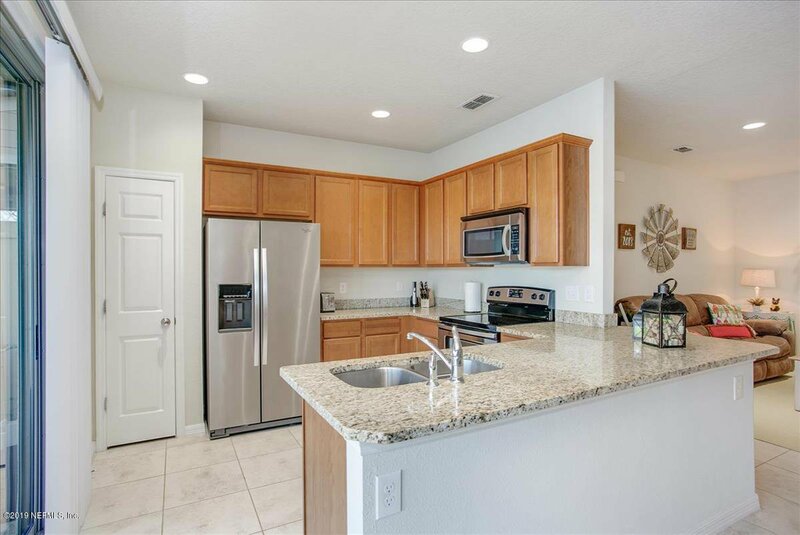 Kitchen features 42'' cabinets w/ crown, stainless appliances and granite counters. 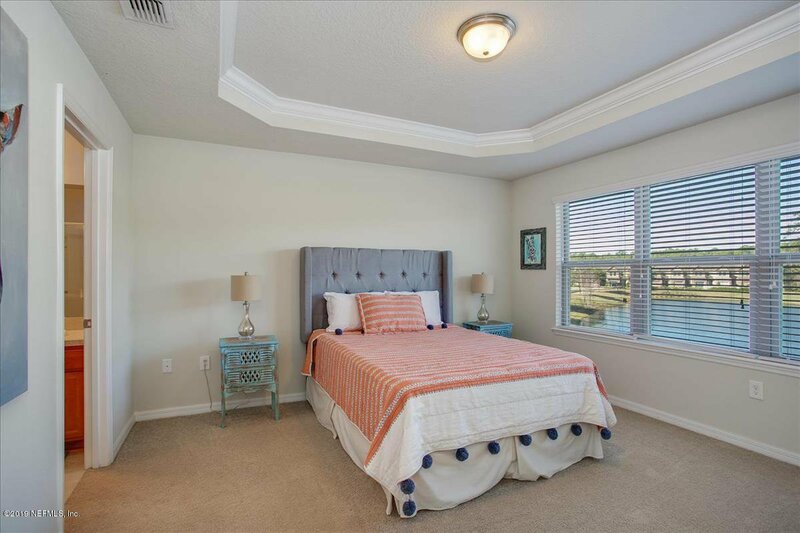 Upstairs you'll find two spacious secondary bedrooms, the laundry area, and beautiful master suite with fantastic views of the lake. 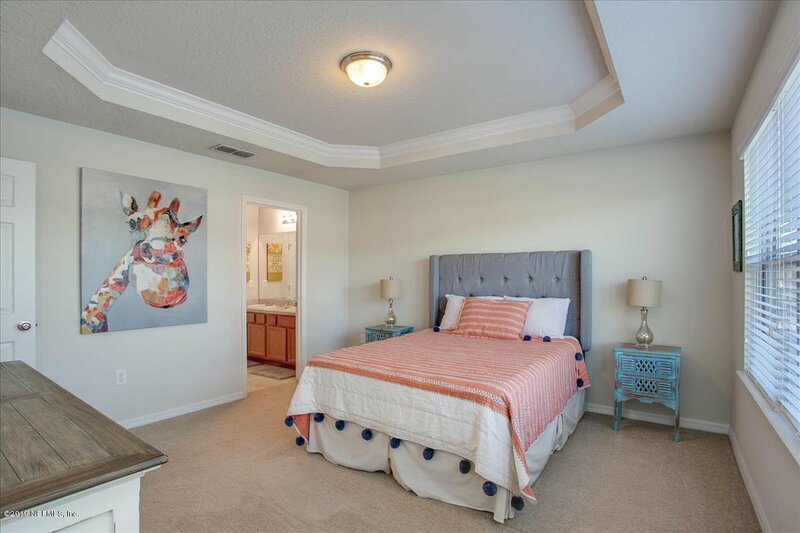 Tray ceiling with crown moulding & large walk-in closet. 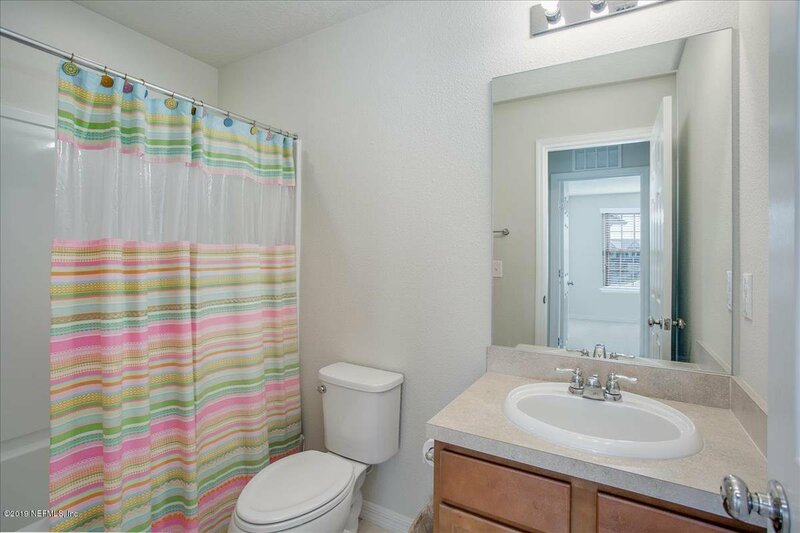 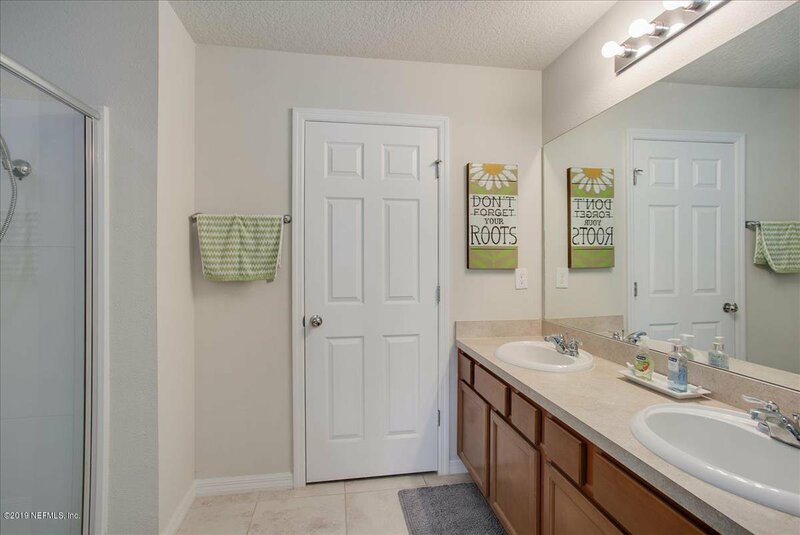 Master bath features shower, separate water closet and double vanity. 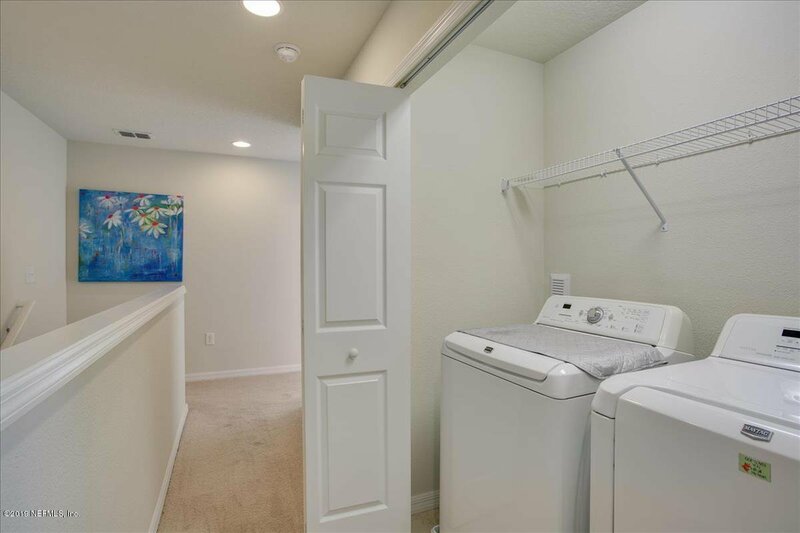 Spacious one car garage. 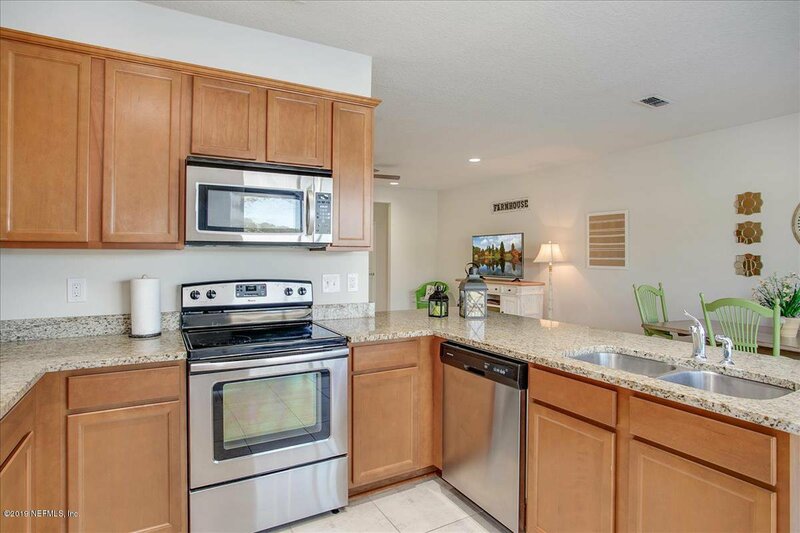 Enjoy maintenance free living with low monthly hoa. 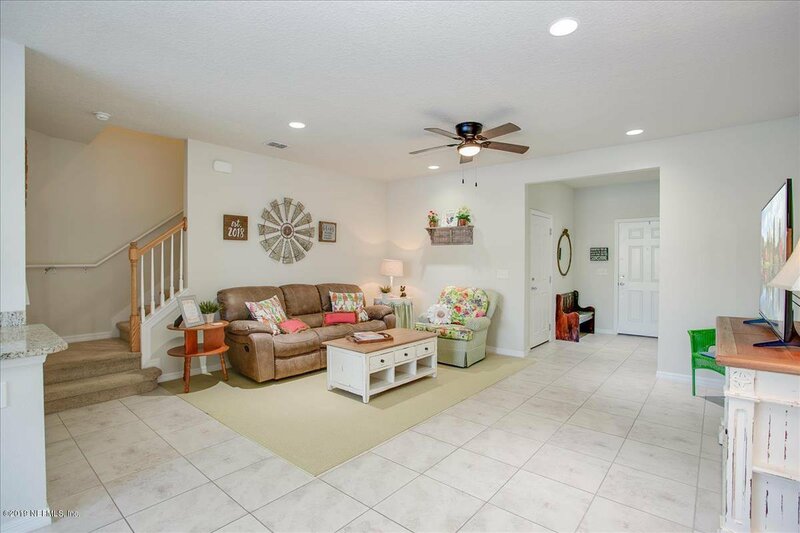 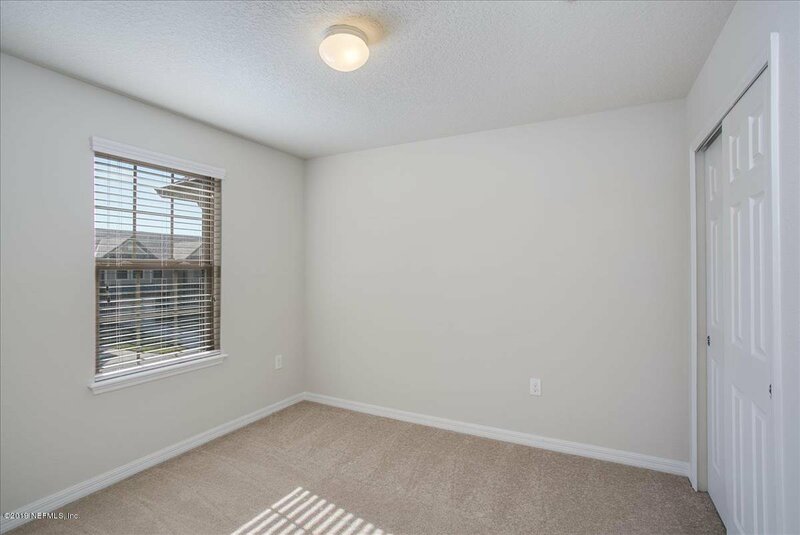 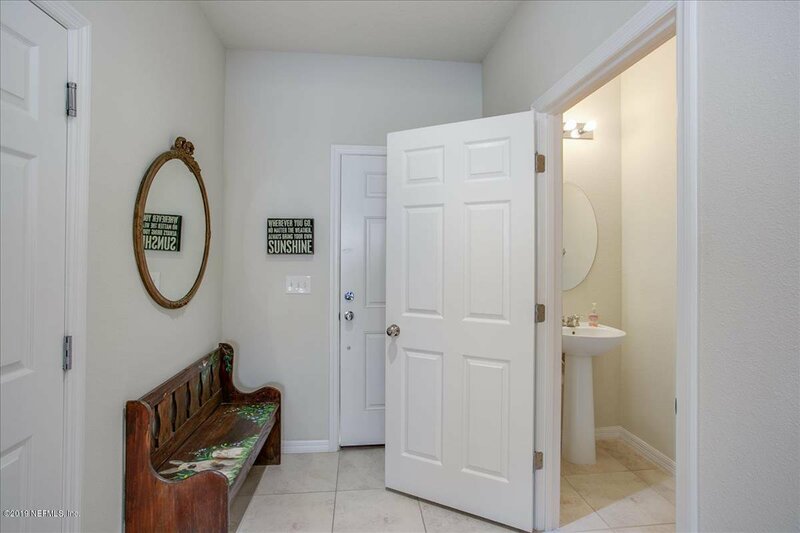 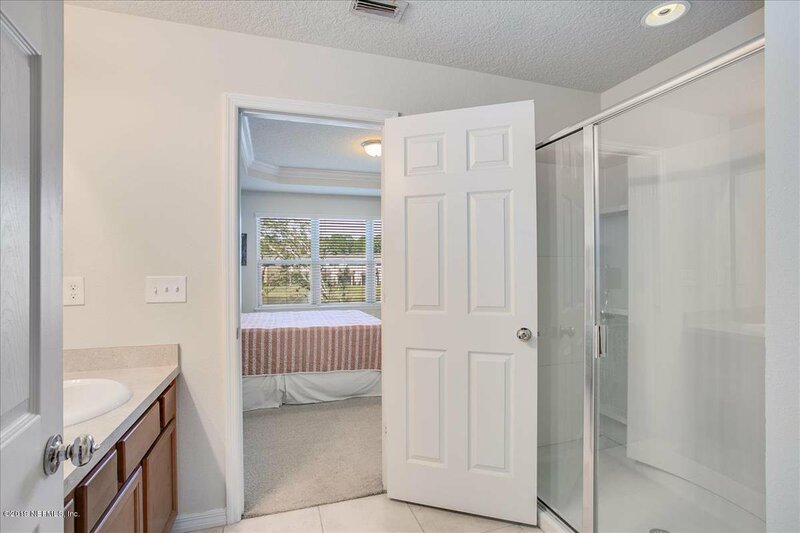 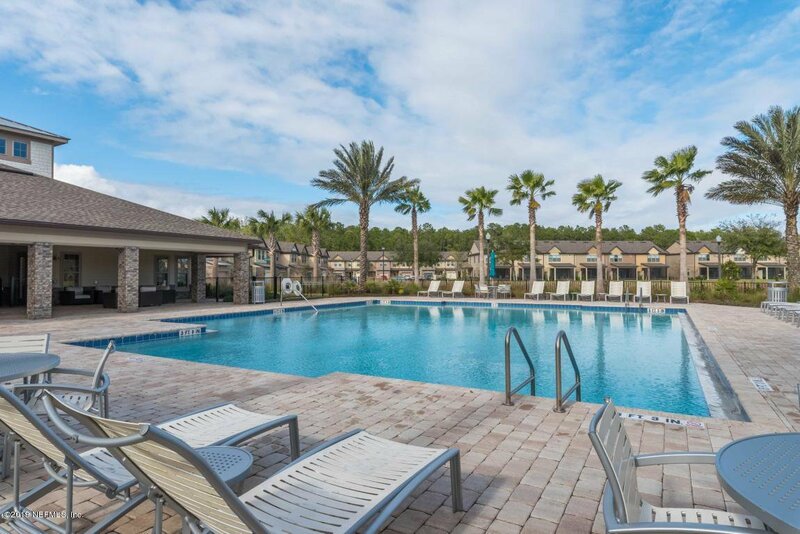 Located in the highly desirable Bartram Park area, close to restaurants, shopping, I95 and just down the road from the new Durbin Park Towncenter! 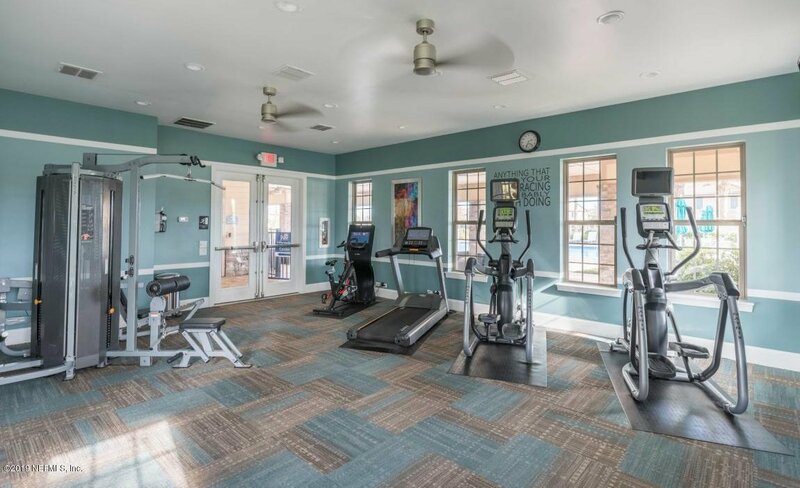 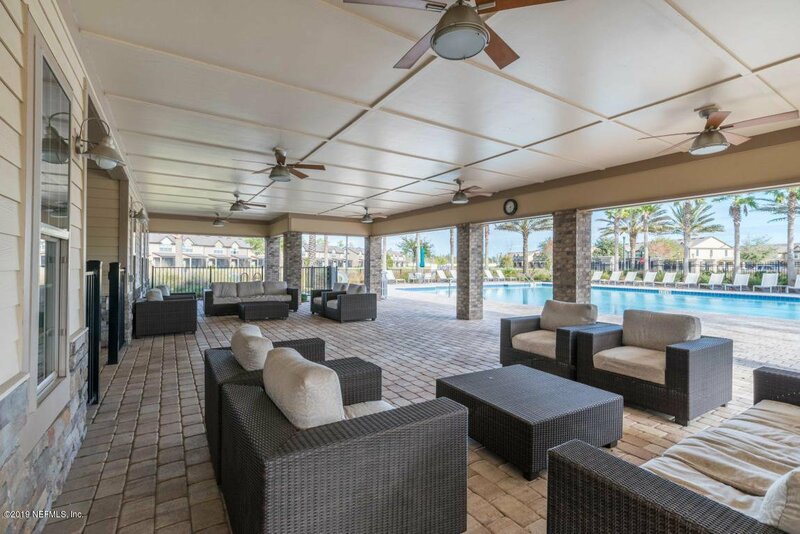 Enjoy the resort like amenities which include a community pool and clubhouse, fitness center and secure gated entrance. 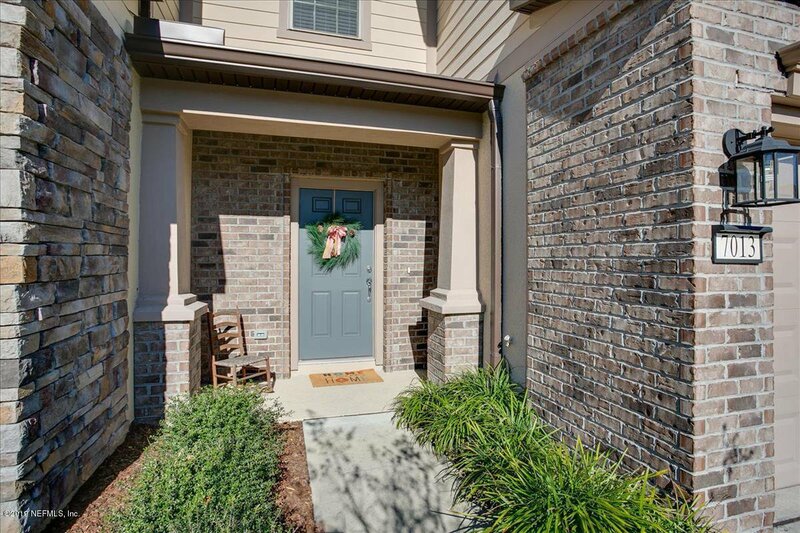 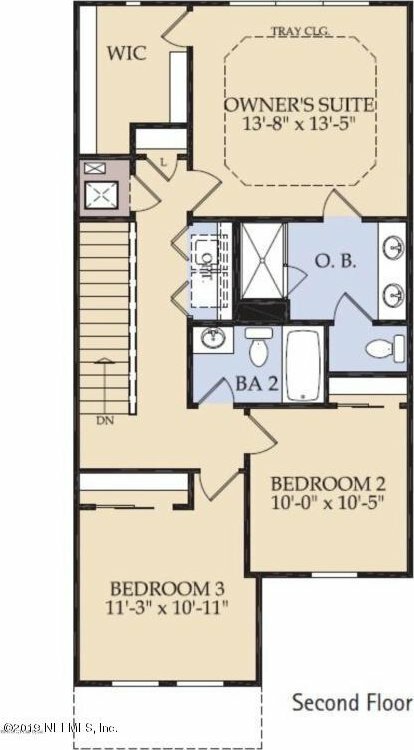 Don't delay make this one your new home for the new year!